The Grandmother Tree would have spent its life in an open field behind Lois’s house. 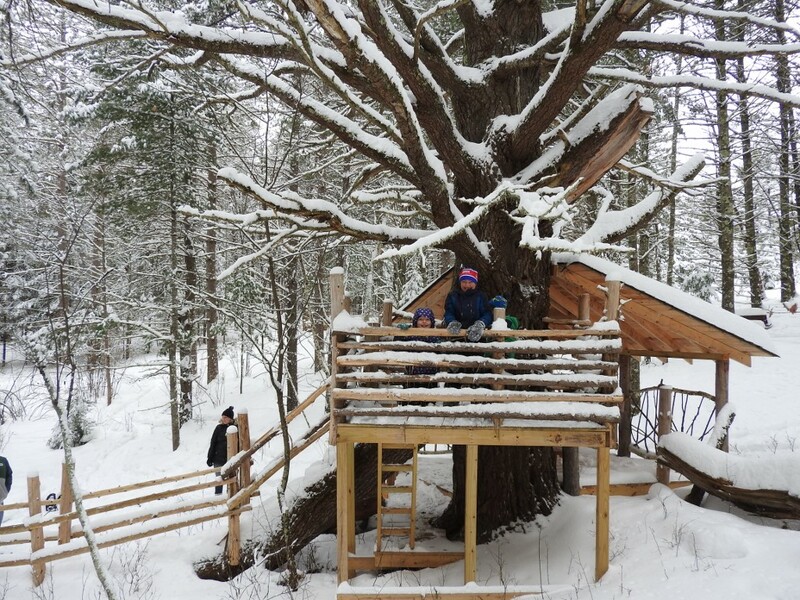 That’s why it’s lower branches grew big and strong enough to host our wonderful treehouse! You can play here, too, after signing a waiver at the Wayside Wanderings Natural Play Area in Randysek Road in Cable, WI. Photo by Emily Stone. 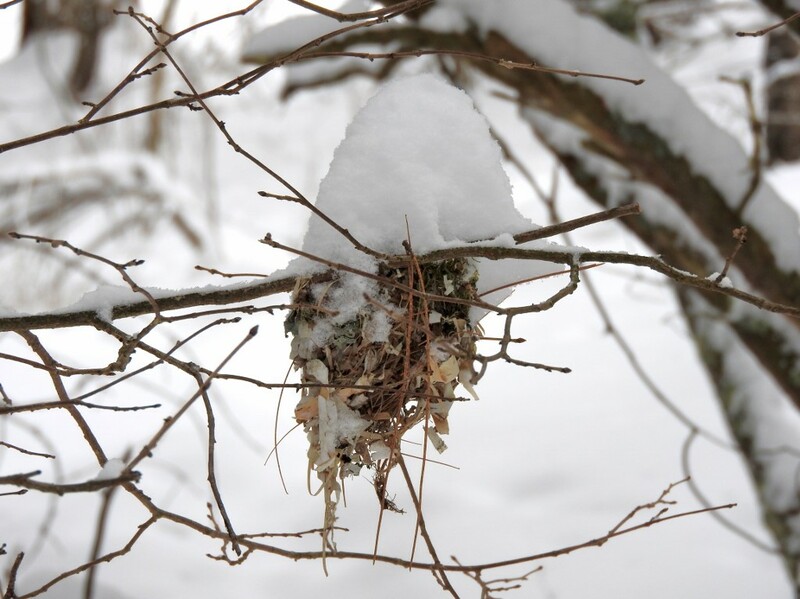 This red-eyed vireo nest was carefully constructed with birch bark and lichens. This work of art will not be used again. Photo By Emily Stone. 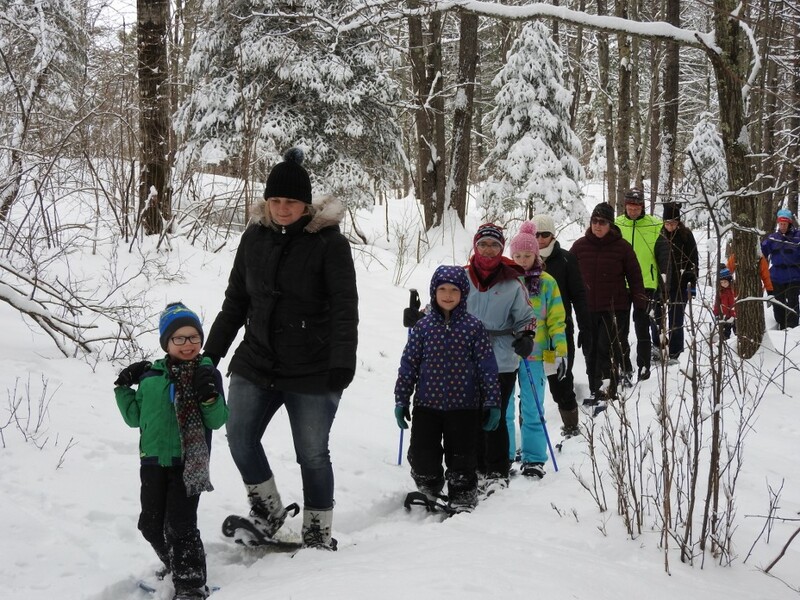 Our little group on the Family Snowshoe Hike appreciated the beauty of freshly fallen snow. Photo by Emily Stone. 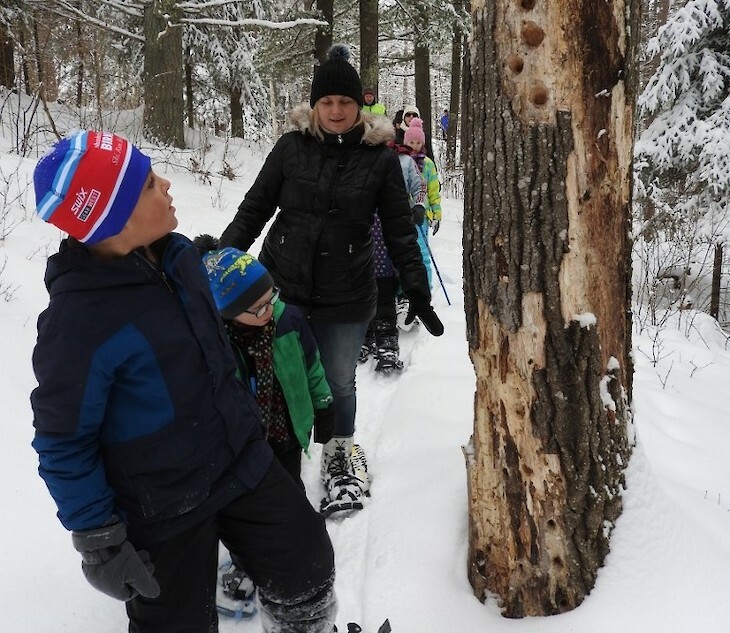 Woodpeckers of all sizes have found tasty morsels hidden in this old tree. Photo by Emily Stone.